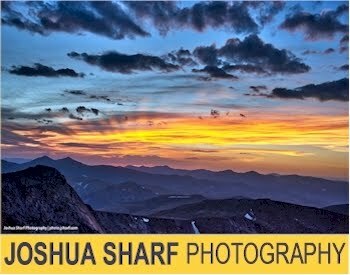 This is more or less a re-post from last year, but with lots of additions and updates. 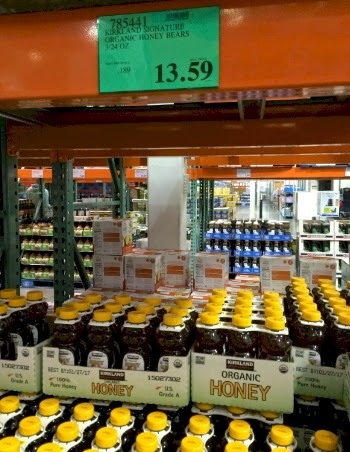 Last year's post on shopping for Pesach at Costco was one of Daily Cheapskate's most popular posts on saving money on Passover shopping. 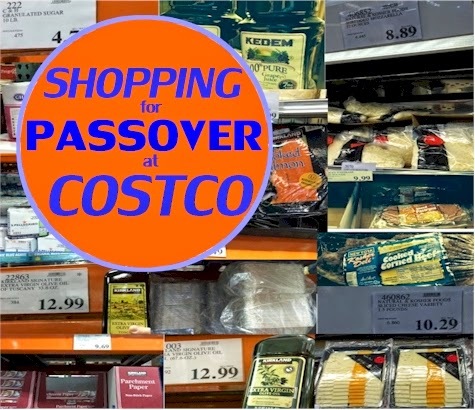 The truth is that this year, I'm relying on Costco for my Pesach shopping even more than the last few years because of the plethora of KLP/KFP (kosher la'Pesach/kosher for Passover) Costco products. 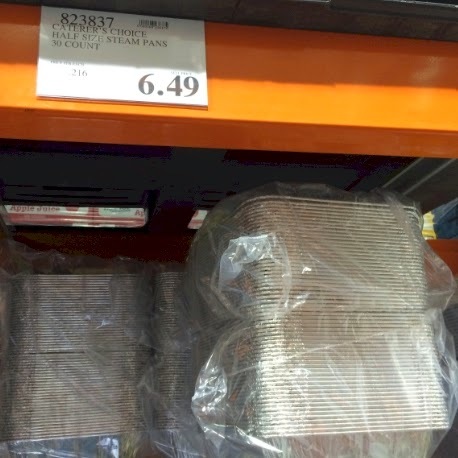 Costco has emerged to become an leading supplier of well-priced KFP food, and almost all of these deals (except for the specifically seasonal KFP items, like shmurah matzoh) are available for months before Pesach. What I love about that is that I can make a significant dent in my Costco Passover shopping well before Purim, and save a ton of money as well. Below are some of my favorite KFP Costco finds, with prices quoted from my local Denver Costco. Of course, YMMV (your mileage may vary) and you will undoubtedly have different prices and different KFP items available at your Costco. It was interesting for me to compare last year's prices to this year's. 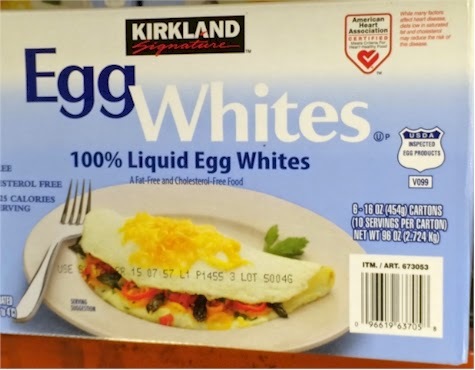 Kirkland Egg Whites - OU-P, six 16 oz. containers, $8.79 $7.99, OU-P. Yes, the price actually went down from last year! 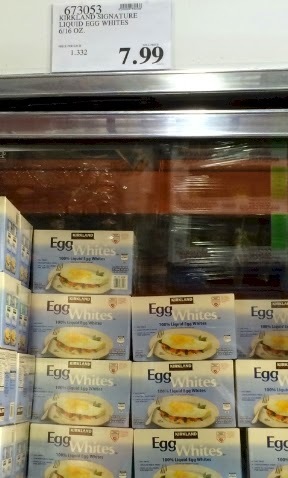 I was really excited to see that these were KFP last year, as I've been attempting to minimize the (unbelievable) number of egg yolks we consume over Pesach. Until now, I've been transporting back to Denver a heimishe brand of KFP liquid egg whites from my pre-Passover trip to NY, but I no longer need to do this with the Costco liquid egg whites now being KFP. Parenthetically, I also get my Pesach eggs from Costco ($8.99 for 5 dozen), except for when those awesome Incredible Edible Egg Facebook coupons come out (usually right before Easter), which, combined with egg sales at our local Kroger affiliate, usually score me about 4 dozen free eggs. But I digress. Back to Costco. 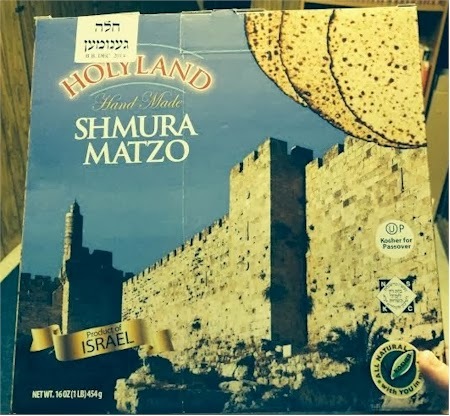 Holyland Hand Shmura Matzoh - 16 oz. 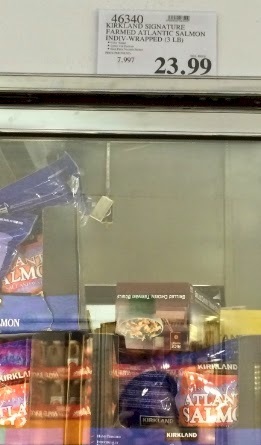 boxes, $13.99, $14.99. Even at a dollar more per lb. this year, the price is fantastic, especially compared to what hand shmurah costs everywhere else ($20 and above). This has saved us a fortune this year. 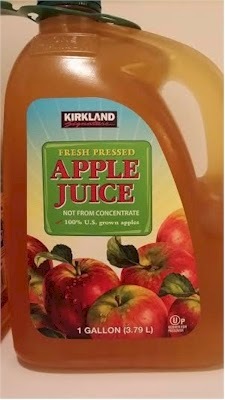 (Unfortunately, our Costco ran out before the majority of the community could purchase what they needed.) I also feel great about buying shmurah matzoh from Israel. Kirkland Atlantic Frozen Salmon Filets- OU - 3 lbs. $24.99, $23.99. Last month, Costco ran a $4.00 coupon on this salmon, and I happily stocked up for Pesach at $19.99 for the 3 lb. bag. For the past five years, the OU has been okay'ing this for Pesach without a special hashgacha (see page 61 in the OU Pesach Guide), and they did again this year. This frozen salmon is a staple in our house all year long as well as on Pesach, and has made purchasing uber-pricey KFP tuna and gefilte fish unnecessary. If you prefer not to eat farmed fish, Costco also has a 3 lb. 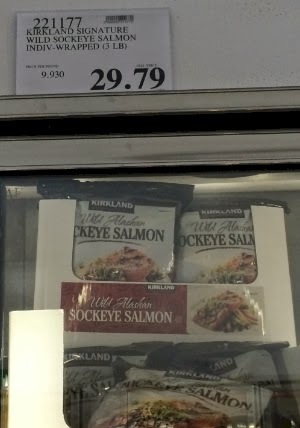 bag of Wild Sockeye Salmon for $29.79 OU, which has also been okay'd by the OU for Pesach use (you need to rinse it with water first). Empire Kosher Skinless Chicken Breasts, 2 lb. OU-P KAJ-P, $10.99, same price as last year. These frozen chicken breasts already have KFP hashgacha, and Costco has held their price of $5.50 per lb. for several years. 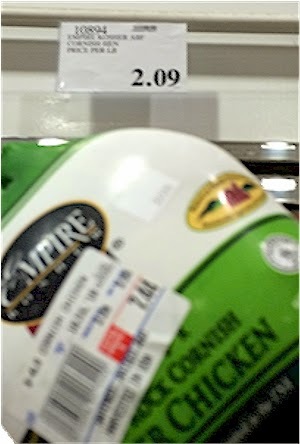 Because kosher chicken prices have gone up by almost 40% in Denver last year, this is actually the best price in town for chicken breasts, and I appreciate that Costco does not raise the price before Pesach. Kirkland Organic Honey, three 24 oz. honeybears for $11.69 ($0.16 per oz.) $13.59 (0.19 per oz.). Although the price has risen this year, this is still a fantastic price on honey, let alone organic honey, let alone KFP organic honey. We buy this for Pesach each year and always have at least one honeybear left for the following Rosh Hashana. These 24 oz. bears are huge. 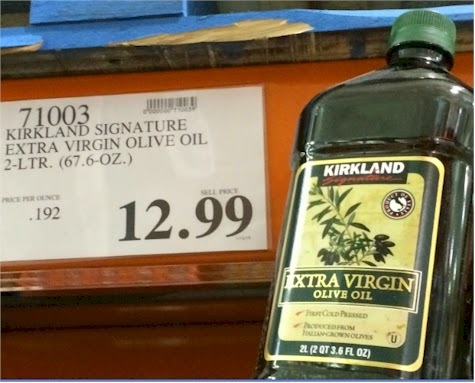 Kirkland Extra Virgin Olive Oil (EVOO), 2 liter bottles (67.6 oz.) OU for $12.99 (same price as last year). The OU and other major kashrus organizations have permitted EVOO for Pesach without any special KFP hashgacha. This is one of the best-priced deals around for high-quality EVOO and it saves me from having to buy that uber-expensive KFP cottonseed oil. Even though EVOO is not the best oil for frying and baking, it works for a week, and it's terrific for salad dressings, cooking, sauteing, etc. 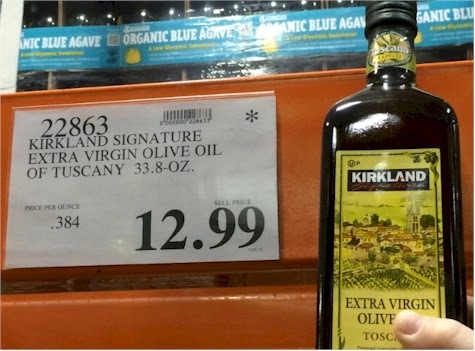 If you prefer, you can get a bottle of Kirkland Tuscan Extra Virgin Olive Oil that's half the size of the regular EVOO for the same price $12.99. This actually has a hashgacha for Pesach on it, OU-P. I'm not sure why EVOO from Tuscany should be twice the price, but if you must have Italian EVOO, okay then. 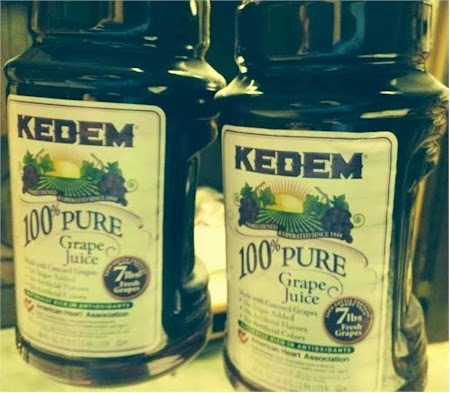 Kedem Grape Juice - OU-P, two 96 oz. bottles, $9.99 (same price as last year). Kosher grape juice is ridiculously expensive in Denver. Everyone who is in the know waits for this Costco sale (always right before Pesach) and stockpiles enough for the entire year. We buy a dozen bottles at this sale each year. 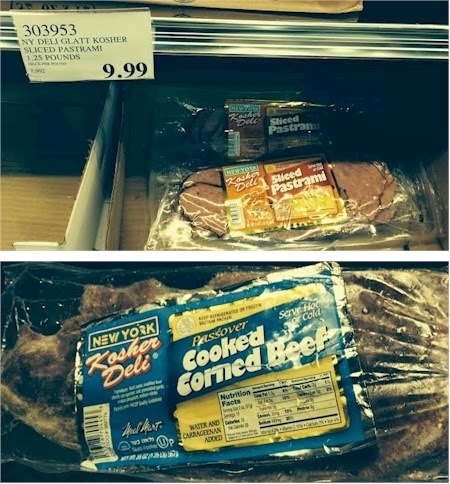 Meal Mart NY Deli Sliced Pastrami, Corn Beef or Smoked Turkey Breast-OU-P, 1.25 lbs. $9.99 (comes to $7.99 per lb. ), same as last year. This is one of the best glatt-kosher meat bargains around, whether during the year or for Pesach. Look for the packages with the special Pesach hashgacha. We used to get all three types of cold cuts in our Denver Costco, but this year, only the pastrami is available (this picture is from last year). The $8/lb. price is fantastic. I make a sort of modified deli roll on Pesach with these cold cuts. Natural & Kosher Sliced Cheese Variety, 1.5 lbs. OK-P $10.29, same price as last year. Again, look for the packages with the special Pesach hashgacha. The price on this is fabulous ($6.86/lb. ), and my husband loves this cheese and eats it year round. If you haven't already taken advantage of the Natural & Kosher cheese rebate, make sure you save the UPC symbols and save $1 per package. 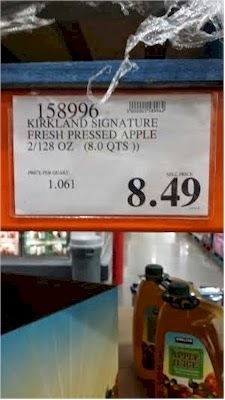 Costco also stocks a 2 lb. 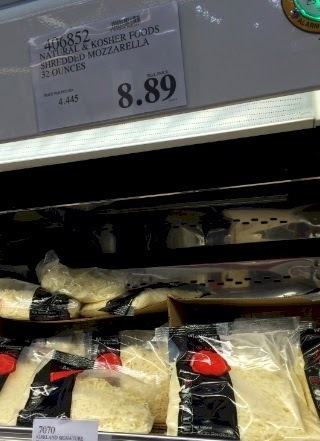 bag of Natural & Kosher shredded mozzarella for $8.89, or $4.45 per lb. 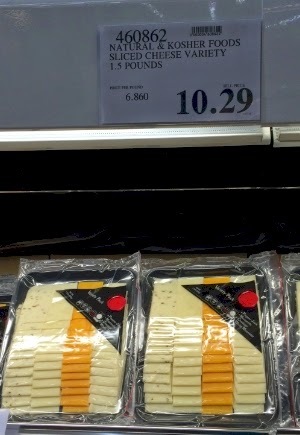 OK-P, which is an excellent price, (almost comparable to non-kosher cheese). San Pellegrino, Italian Mineral Water- OU-P, case of twelve 25.3 oz. bottles $13.99, $10.99 this year because of a great $3.00 instant coupon. (Our Costco usually stocks KFP Perrier too, but not this year.) These are KFP year-round, and these case prices are very good. 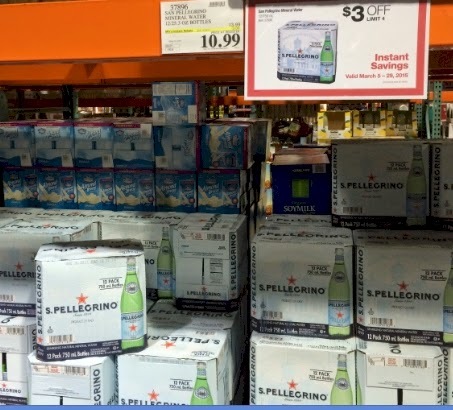 We usually pick up a case of the Pellegrino, (even though we mostly just use our SodaStream on Pesach now). It's always nice to be able to put a few bottles of Italian sparkling water on the Yom Tov table. Kirkland Smoked salmon/lox, two 8 oz. packs for $18.89, Kof-K KLP. 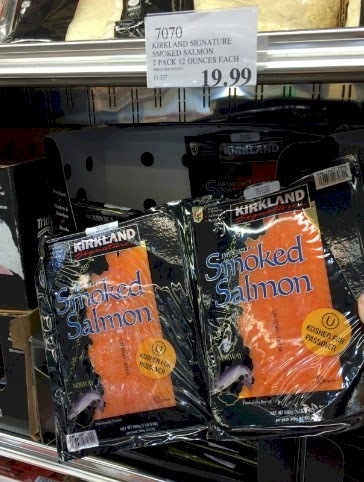 This year, the KLP Kirkland Smoked Salmon comes in two 12 oz. packs for $19.99, OU-P. Again, make sure you look for the packages with the special hashgacha. If you're looking for a less boring Chol HaMoed lunch, pile some of this lox on top of a cream cheese slathered slab of matzoh and you're in business. Now, if I posted pictures of all the paper goods that Costco stocks, I'd be here for a week month. 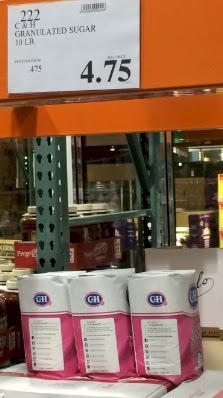 Costco is known for disposables that are very well-priced. But I will rave about their prices on two things that are crucial to me for Pesach. 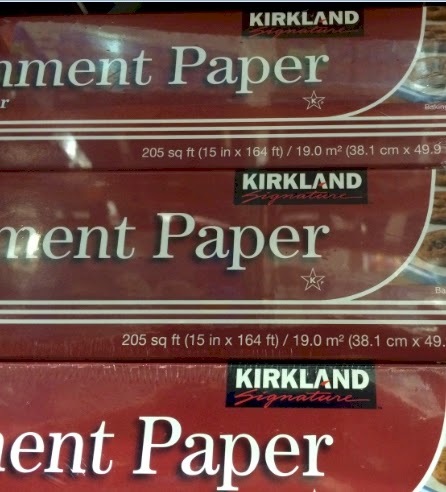 Their parchment paper is $9.69 for two extra large rolls of 205 square feet, and it has Star-K P on it. 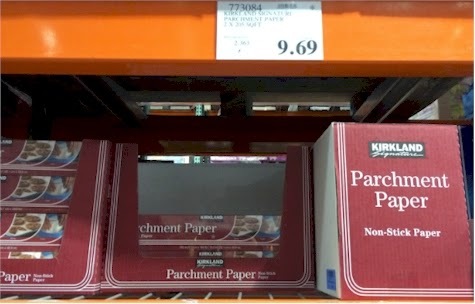 Best deal around for parchment paper. I use a ton of parchment liner on Pesach because I cook so many things in disposable aluminum pans, and I hate cooking directly on aluminum. 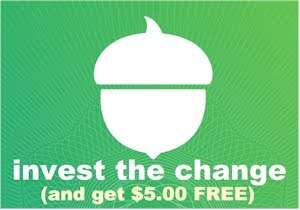 Please make sure you check out bookmark Pesach.DailyCheapskate.com for ALL of my excellent deals and resources on everything you need for Pesach/Passover! It's updated at least twice daily.